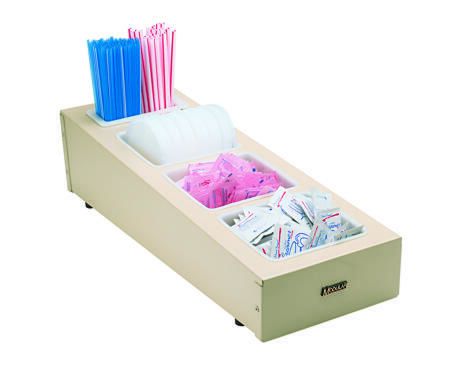 Tomlinson 6000 and 9000 CONDIMENT DISPENSERS are two fantastic products designed to provide clean and organized countertops in spite of high volume dispensing of a variety of condiments. The 6000 Dispenser comes with dispenser tray designed to mount on SF2100 Series Aluminum Cabinets adding versatility. Tomlinson offers optional accessories like Quart Inserts and Stir Stick Inserts to enhance productivity and the functional control to its best. Alternately, 9000 Condiment Dispenser comes with nine inserts of 1-pint. Tomlinson offers optional pint insert to meet extensive requirements of customization. Enjoying multifaceted control of everyday tasking is amazing when state of the art Tomlinson condiment dispensers work wondrously.